A wedding is a day that imprints itself indelibly in every couple, and represents an embarking point for their new adventure together. From the time that they’re little girls, women dream of this moment: every girl imagines the day in which her prince will be waiting impatiently for her at the altar, watching and admiring her as she graces the aisle with her beautiful white dress and a sweet smile on her face. 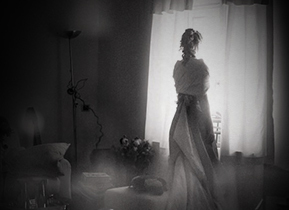 Every couple wishes for the perfect wedding, which is where we, the staff at Matrimoni D’Autore by Anna Marinello, a wedding planning agency, come into the picture as a Milan-based agency, the absolute leader in organizing what will be the most important day of your life. Professionalism, seriousness, and creativity are the qualities that have distinguished us for the past 20 years. Come visit us and together we shall find the perfect solution for your big day. Our wedding planning agency has organized a vast number of weddings and events over the years. Have a look at a small selection of our works in our gallery, and delight in the locations, decorations and overall perfect days that have been had. We manage our wedding planning agency with the greatest of passion, and have a profound love for this enormously satisfying work. To make the attendees of every event as happy as they are, gives us an tremendous sense of pride. Our commitment is always to service the client and give them a unique experience worthy of a fairy tale. Matrimoni D’Autore is the wedding planning agency specialized in the organization of weddings in all their aspects, from the selection of the location to the decorations of the same. We make our clients’ dreams come true by making it so that they can live an unforgettable day as bride and groom. We research all of the details and particulars that are difficult to acquire, rich in fantasy and creativity. 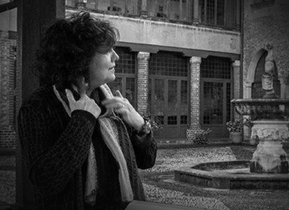 Anna, CEO of Matrimoni D’Autore, brings together artistic training and managerial preparation to her job. She is a fashion designer and stylist, manager and creative force, having studied in Milan as well as the United States. Our team consists of Ana, Marta and Rashida, and together we collaborate to make dreams come true for those couples that turn to us. 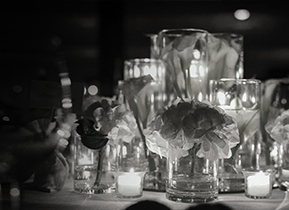 We are united by our creativity and passion for the world of weddings. 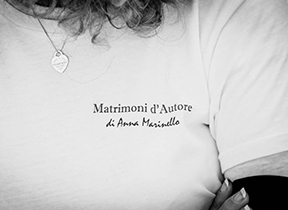 Matrimoni D’Autore is the most authoritative wedding planning agency in Italy, all due to the incessant work and strong spirit of initiative of Anna Marinello, the mind behind this work that brings together passion, organization and tremendous creativity. Discover more on our activities. I have read the information and authorize my data to be used for the purposes indicated.